Allow me to dust this blog off for a moment! Sorry for not updating this site, I’ve been a little busy with life and layout. 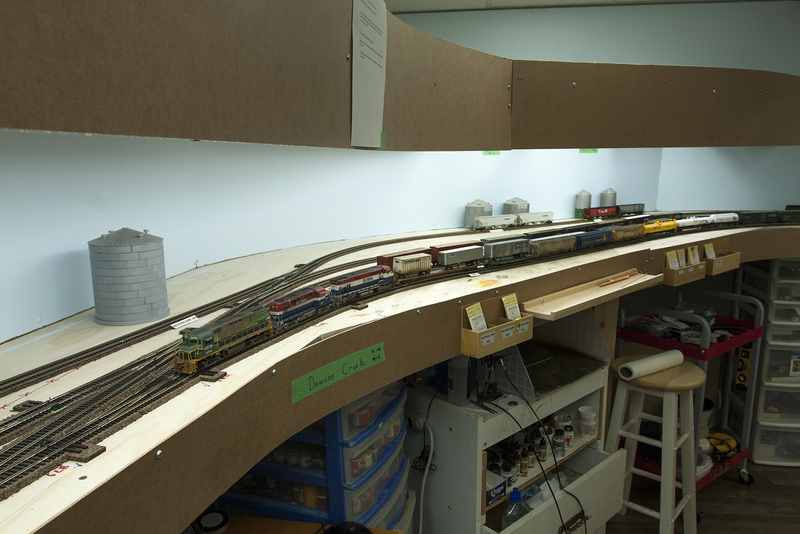 After many months of hard work, the layout is now fully operational. 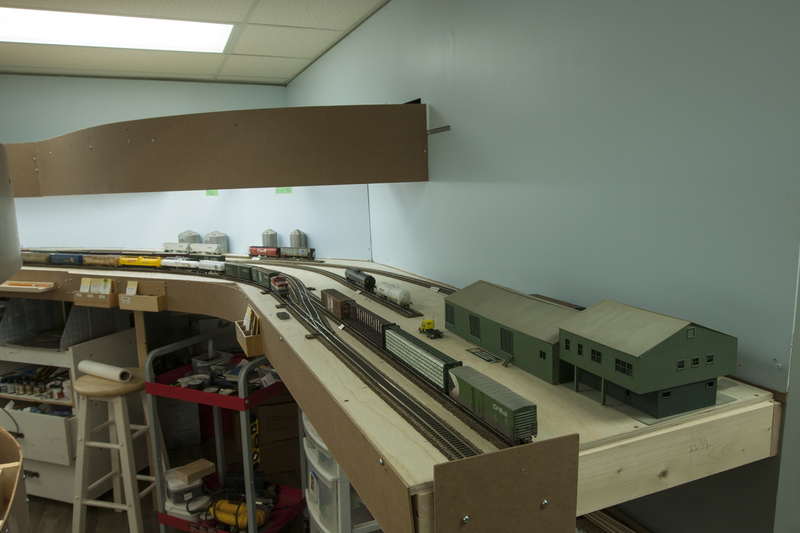 Trackwork is complete, the electrical is almost done save for some switch machines to be installed in staging. 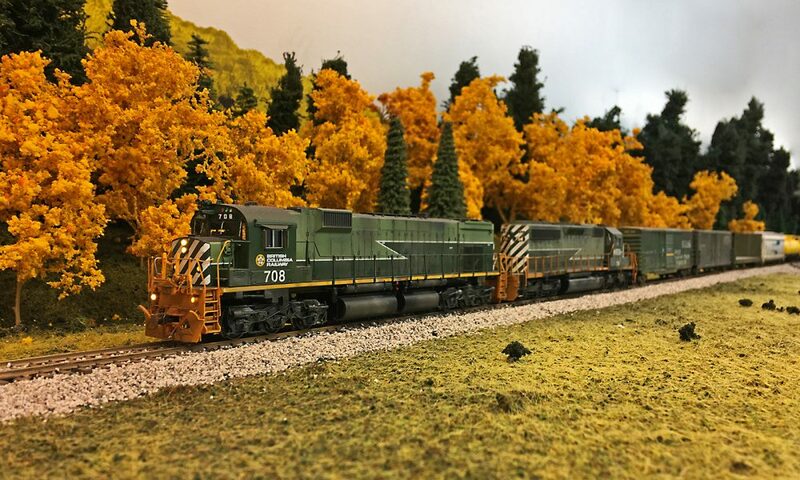 I’ve got a new Digitrax Chief command station coming since the Empire Builder I am currently using does not have enough locomotive slots for the needs of the layout. 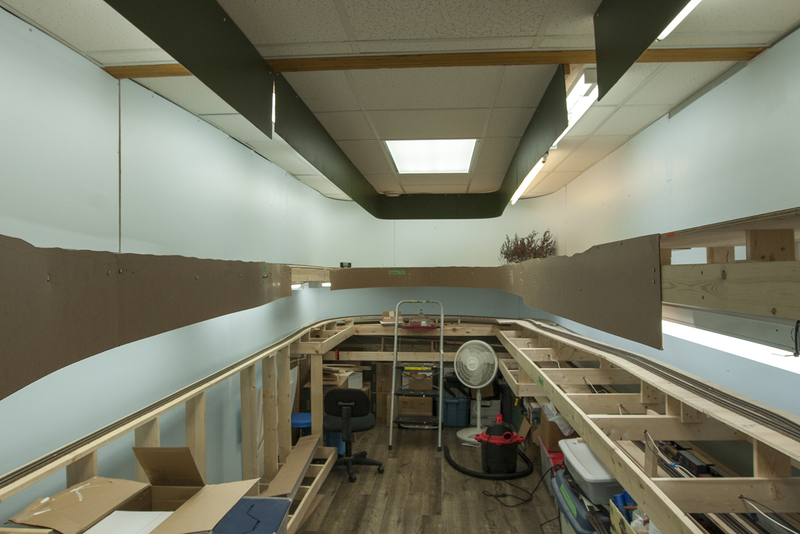 I’m currently installing fascia on the upper and lower levels and will paint it green soon to hide a good portion of the benchwork. I’m not sure where I’ll start with scenery, perhaps the upper deck at Hulcross of Kennedy. I do plan to work on one scene at a time (maybe a 4 foot area) rather than the “shotgun method” of rough sceniking the entire layout, then going back to add more. And the staging yard at Prince George, with a few freights ready to head north. This entry was posted in Layout Construction by tsokolan. Bookmark the permalink. 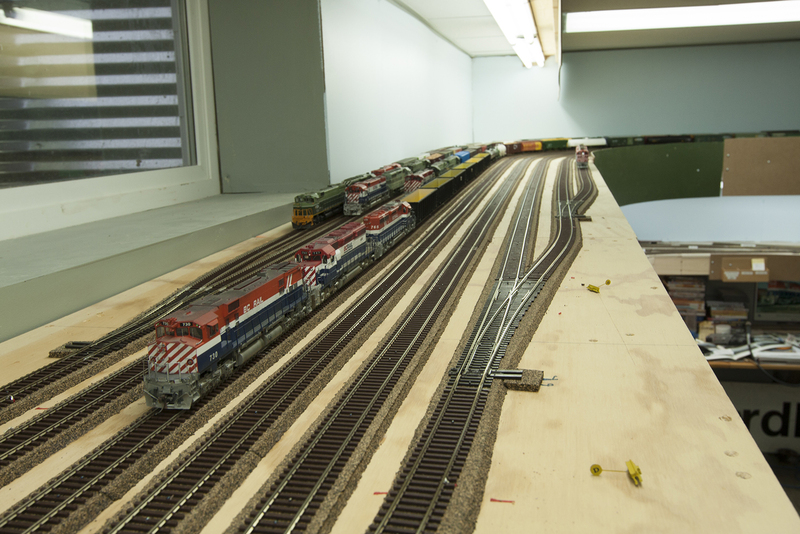 great to see the layout operating. We use OCS on the Squamish sub. and it seems to work well. Your track work looks pretty good.